Ruth Ford, the longest-serving employee in all of state government, retired on Oct. 30, 2015 after 70 years working in the Massachusetts Department of Public Health. A long and dedicated career like Ford’s is truly remarkable, and we are proud to call her a NAGE union member. Despite her impressive career and success in hobbies outside the office, Ford seems reluctant to call herself driven or ambitious. She advises that one’s “longevity depends on being active” and was happy to be a part of the workforce, counting herself lucky to be healthy enough to work as long as she did. 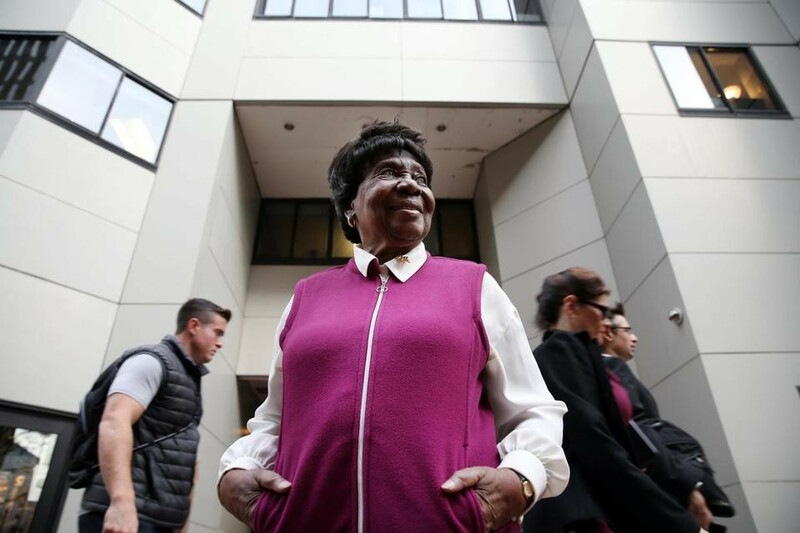 Ford’s mother recognized that the WWII wartime jobs, which opened new work opportunities for women and people of color, would be temporary and pointed her daughter towards Boston Clerical School. Ford enrolled, remembering, “You had to have a 90 mark or better to graduate from that school.” She enjoyed the challenge of her classes and was fully trained as a secretary. Ford worked her way through various divisions, advancing from junior clerk and stenographer to data and research analyst. In the mid-1960s she earned her associate degree in business administration and data processing, which was always a personal interest. To earn Ford’s amount of tenure is nothing short of remarkable. By providing benefits and resources for workers to have a voice on the job, we hope to continue to sustain the successful middle class structure that workers like her have used to achieve their goals. She certainly achieved her goals both inside and outside her workplace. Out of the office she was an avid skier, champion bowler, and tennis instructor. In 1961, she helped establish the country’s first African-American-founded, nonprofit urban tennis club, Dorchester’s Sportsmen’s Tennis Club. That same year her candlepin bowling team, the State Bobcats, were mentioned in the Boston Globe. The decision to retire came easy. Ford’s workplace was yet again advancing and the change meant another round of training for employees. Her thought process was a quick one, “At 90 years old, I wasn’t about to go for more training.” For now, Ford is sure of one thing. She’s glad that this winter she won’t have to think about going to work. Ford’s long list of accomplishments, along with the advances in American workplace, provide us with a colorful timeline of her career, [which can be viewed here.] Congratulations, Ms. Ford, and thank you for 70 years of dedicated service. Ruth Ford stands outside the Department of Public Health in Boston. Photo courtesy The Boston Globe.